The previews for “Shazam!” make it look like a lot of fun, and it’s apparently doing great box office right out of the gate. Part of the premise of the movie, of course, is that a young boy gains superpowers but has to figure out how to use them and what to do with them. 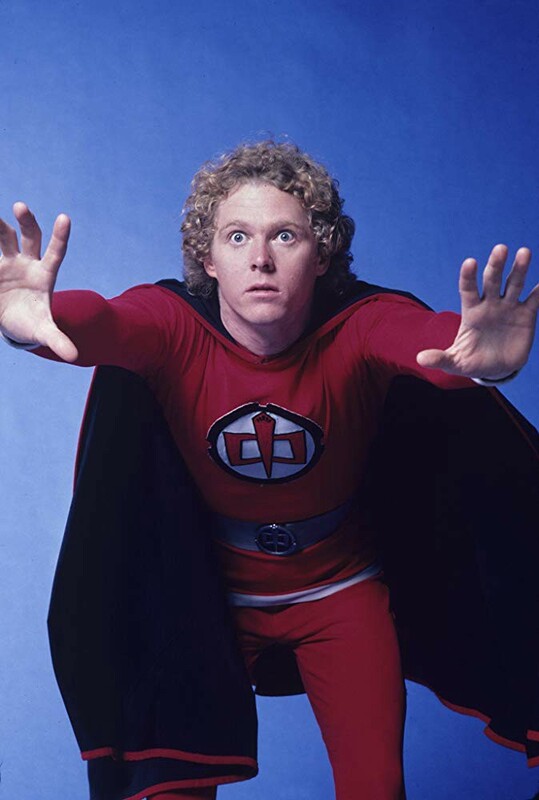 The movie — not to mention the red costume — put me in mind of “The Greatest American Hero,” a fun comedy-adventure TV series from the 1980s, from the prolific producer Stephen J. Cannell. Many of you remember this show fondly, and every few years there is talk about some sort of reboot or movie version. There was a pilot episode produced in the late 1980s, and another one produced last year. In both cases, a female protagonist inherited the red suit. The pilot did not get picked up to series either time. IMDb lists the 2018 pilot as a “TV movie,” so it must have aired somewhere as a one-shot special, but I missed it. The late-80s version was edited down into an hour-long format and was added to the syndication package of the original series as a final episode. I haven’t seen it either. For those of you too young to be aware, and because I love Explaining Things, I’ll give you a recap of the original show, which is available on Amazon Prime and on iTunes. Ralph Hinkley (later called something different, as I’ll explain), played by William Katt, was a somewhat-liberal high school teacher. Bill Maxwell, played by Robert Culp, was a crusty, somewhat-conservative FBI agent. The two men, through strange circumstances, find themselves in a clearing in the woods one night when a UFO lands and presents them with a super-suit, telling them that they are supposed to work together to do good. The suit fits Hinkley, but not Maxwell. It also comes with an instruction manual — which the two men promptly lose. So Hinkley has to figure out what his powers are, and how to use them, by trial and error. A lot of error. He knows the suit has flight capabilities, but much of the humor of early episodes had to do with his clumsy takeoffs and landings. He would frequently discover, by accident, that some particular gesture triggered a feature of the suit. Between Maxwell’s law enforcement connections and Hinkley’s powers, the two men attempt to fight crime. The show also starred Connie Sellecca as Hinkley’s girlfriend, an attorney, whom he marries during the course of the series. About that name, “Hinkley” — the show was on the air during the period of time when there was an assassination attempt on President Ronald Reagan, by a man named John Hinkley. The TV show dropped the name like a hot potato. Ralph’s high school students began calling him “Mr. H,” and then eventually his name became Hanley, with no explanation. Given the current superhero craze, it’s really kind of surprising that they haven’t been able to reboot this.